“Variety is the spice of life,” goes the adage. The pomander hangs in the hallway, and the kitchen is redolent with the aromas of winter spices as gingerbread bakes in the oven; rich cinnamon, sharp cloves, gentle mace, tropical allspice, nippy ginger, aromatic coriander and savory caraway all blend with molasses, flour and butter to make the classic winter treat. Feature allspice in the blend for spice cake, flan and pumpkin pie. Use nutmeg in kugel, custard, creamed spinach or hard sauce. Add a hint of white pepper to the Moravian ginger cookies and pfeffernüsse. Whatever your holiday menu includes, I’ll bet it’s rich with the sweet and savory spices long a part of our food traditions. Herbs and spices have been used as flavoring agents since the discovery of fire. Herbs are typically green, leafy plant parts, while spices are dried berries, seeds, roots or stems. Spices entered the global trade roughly a thousand years ago because they can hold their fragrance and flavor for a long time. Their uses in folk medicine and as food preservatives also made them highly sought after. 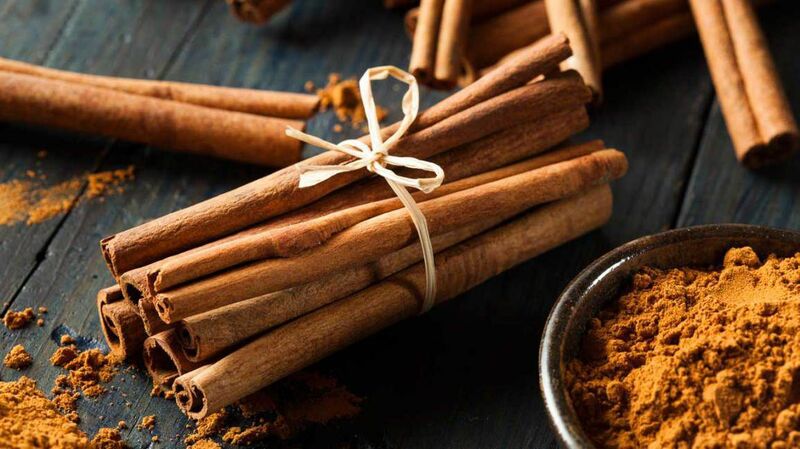 It was the spice trade that drove European politics and global trade, and led to the discovery of America as Columbus sailed in search of another route to the Far East and the Spice Islands in Indonesia. To have the best flavors in my kitchen, I like to buy fresh spices for the holiday season. Whole spices last longer than ground, so if you have a spice grinder or mortar, make your own fresh-ground seasonings. Use up the jaded ones by picking recipes that use a lot of spices together, like homemade spice rub for salmon or chicken. Try caramel spice sauce simply made with caramelized sugar and water with cloves, nutmeg, ginger and black pepper, simmered slowly. Blend your own curry powder or garam masala. Or empty all the jars into one bowl, mix everything with dried orange peels and use the contents as a mulling mix to steep with cider or wine. One look at my spice rack shows the global trade in dried plant parts remains active today. My kitchen spices, both sweet and savory, include seeds or parts of seeds of all sorts, from A (allspice) to Z (za’atar), among them standbys like cardamom and coriander. Also handy are a fair number of fruits, like black, cayenne and Szechuan peppers. Otherwise represented are flower buds (cloves), tree bark (cinnamon, of course) and roots (ginger and turmeric). Those spices come, literally, from everywhere: North, Central and South America; southern Europe; the Caribbean and the Mediterranean; the Middle East; and that growing powerhouse of pretty much everything, Asia – specifically, India and China. The fragrance of baking may represent family history in the U.S., but it also illustrates the depth and value of the biodiversity of the tropics and how we use and appreciate the plants from those and other regions. The sweet spices that we use are now mainly cultivated, but they all originated wild in nature. So if you think biodiversity doesn’t matter to you, think again. Biodiversity is the source of variety – which nicely leads us back to where this column began!